As the Roman philosopher, Seneca, said, “Luck is what happens when preparation meets opportunity.” In the case of Brittany Tegeler, CEO of Tegeler Source, that description is more than accurate. Less than a year in business, the construction materials supply company she founded has established itself as a go-to source for lumber and construction, building, and infrastructure-related materials. After many years working on both the supplier side and general contracting side, Tegeler had the experience, the preparation, to start her own business. She also holds a master’s degree in real estate and infrastructure from Johns Hopkins University. The opportunity portion came when Tegeler started noticing an uptick in the number of construction and development projects active or in the pipeline for Baltimore, and the increasing requirement for MBE participation, particularly at the local level. Last September, Tegeler opened Tegeler Source, LLC, acting on her vision of creating a company that could not only take advantage of these opportunities, but that could bring, young, fresh, creative ideas to the construction marketplace. The Baltimore-based construction materials supply firm works with general contractors and subcontractors, including contractors in framing, roofing, bridge/heavy highway, concrete and forming, sheathing/shoring/foundation, decking/fencing, and piling/bulkhead/marine dock, as well as industrial users with pallet/ski/box needs. Her company recently provided lumber and related product delivery to various multifamily projects in Baltimore. 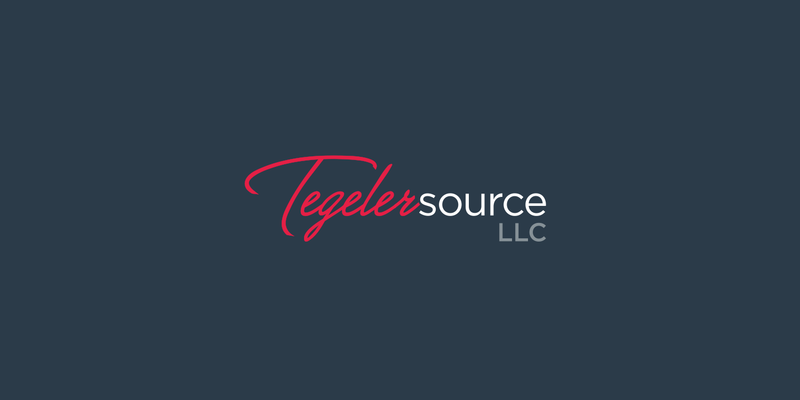 Tegeler Source also has the capability to deliver products up and down the East Coast. In addition, the company offers various commercial construction services, including: owner’s representation, construction management, consulting services, interior demolition, rough and finish carpentry work. The company holds inventory at its lumber yard in Dundalk, Maryland. When she founded the company, Tegeler, a Baltimore native, did so with an intent to encourage other woman to pursue their dreams of business success. Our mission, as a women-owned business in a male-dominated industry, is to use our business platform to empower young, aspiring females to become entrepreneurs, business owners, and leaders with the ability to positively impact our communities,” says Tegeler. In that vein, both Tegeler and her company give back to the community: As an ABC member, she serves on the association’s Women’s Committee and Young Leader Committee. She’s also involved in Accelerent Baltimore and the Building, Congress & Exchange, and was named a Living Classrooms 2017 Rising Star Nominee.